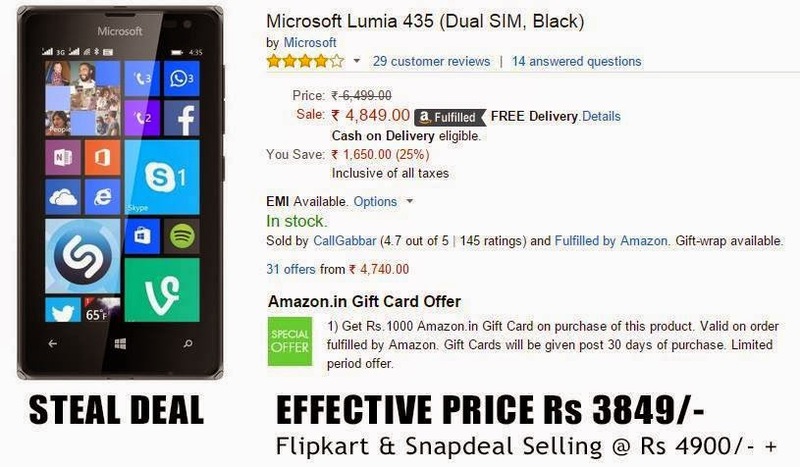 Amazon is giving a ₹1000 gift card on the purchase of a Dual Sim Lumia 435 which is of cost ₹4849 making the effective price just ₹3849. It is a limited period offer so hurry up. Lumia 435 is a entry level Lumia which is recently been released into market by Microsoft. It comes with Lumia denim.